Want to keep in the loop on the latest happenings at Rohr Center for Jewish Life-Chabad of Bellingham & WWU. Subscribe to our mailing list below. We'll send you information that is fresh, relevant, and important to you and our local community. 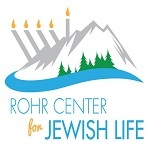 WelcomeWelcome to Rohr Center for Jewish Life's online center! Find out about us and what programs we offer. Kids ZoneCheck out the "Kids Zone" featuring fascinating and engaging games, activities, stories and more on Jewish holidays and other Jewish topics, geared towards children.